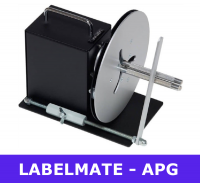 Labelmate products will solve your label handling problems while bringing you convenience and reliability. Their label rewinders are efficient time savers that rewind materials into clean and uniform rolls. 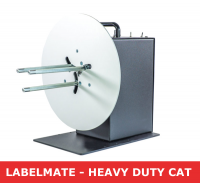 Labelmate’s mission is to make the label printing process easier, faster and more effective by developing smart and durable devices that support their operator before, during or after the printing or application process. 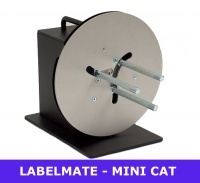 Labelmate MINI-CAT MC-10 LMR001 low-cost label rewinder - can be used coreless or with 76mm cores as standard. Bi-directional with multiple rewind force settings. 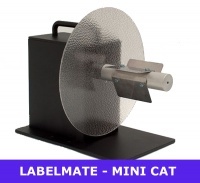 Labelmate MINI-CAT MC-11 LMR003 low-cost label rewinder - continuously adjustable core holder - 25mm to 101mm. Adjustable Paper Guide for MC10/MC11 - guides outer edge of the label to ensure an even roll edge. Based on more than 20 years’ experience, they are committed to providing the highest level of customer service and the best quality products to meet or exceed the expectations of customer's needs. Since 1997 Labelmate has been the worldwide leader for quality label rewinders, unwinders, dispensers, counters, slitters, print mechanisms and core chucks. 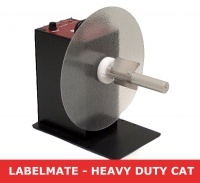 The most easy-to-use, heavy-duty, and reliable products of their kind, every Labelmate product is built to rugged industrial-quality standard.